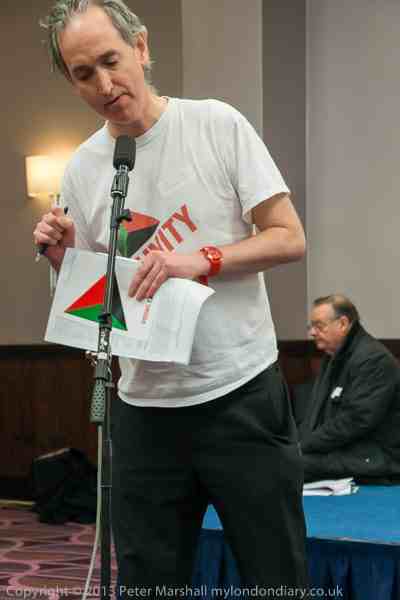 As some of you will know, I was unable to attend the Left Unity (LU) policy-making conference in Manchester on 29 March. I did attend and speak at the founding conference in London on 30 November 2013, getting one of my amendments passed making LU much more revolutionary on trade unions, as described in my blog entry Compromise between the Left Party Platform and Socialist Platform: Justification for my amendments to LPP. However, after the Manchester conference, it is even more clear that there is an ongoing struggle between those who advocate a more revolutionary approach and those who want LU to limit itself to reformist demands (even though some of the latter are actually revolutionaries or are in organisations that claim to be). There is a concerted effort by many within LU (as well as those outside like the SWP) to portray the party as “reformist” or “left reformist”. Indeed, in opening the discussion on the economics commission document, Pete Green said that the programme in the document is reformist. This is despite the fact that when I went to the meeting to discuss the document in London, it was described as “a transitional programme” (I can’t remember whether Pete himself used that term but he certainly didn’t object). There is a big difference between putting forward a set of demands, many of which cannot be implemented under capitalism, that is the transitional approach of the Socialist Party (formerly Militant, that I was in from 1990-98), and simply presenting a set of moderate reforms (the approach of other “left unity” approaches including the Socialist Alliance, before its abolition largely by the SWP in favour of Respect, and Respect itself as an even more moderate party that generally avoids even mentioning socialism at all). In truth, the demands on tax in the document are indeed left reformist but some demands in other sections can more accurately be described as transitional and amendments passed at the conference make LU’s economic policy even more so. To be charitable towards Pete, part of the point of “transitional demands” is to appear reformist even if you aren’t! If you actually argue publicly (in front of those in the room and on the live stream if it was working at the time, but wasn’t, and later appearing on YouTube) that the point of those demands is to bring capitalism down, then that undermines the point of being “transitional”! Arguably a reason why LU has got much more publicity in the mainstream media than the Trade Unionist and Socialist Coalition (TUSC) is that we come across as more moderate. As far as I’m concerned, we are a broad socialist party rather than a reformist party, which is very important because gradual reforms cannot bring capitalism down, and ending capitalism (which was explicitly added to the Left Party Platform statement of aims by a Camden amendment, and accepted by the founding conference) is vital since reforms in the interest of the masses that can be afforded during booms cannot when there is a recession or slump. 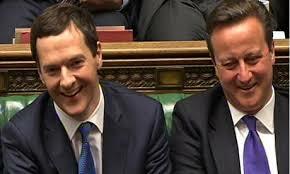 #Budget2014 What Osborne didn’t tell Parliament: critique of new MoneyWeek End of Britain argument – need revolution! MoneyWeek, which claims to be “the UK’s best-selling financial magazine” has been predicting “The End of Britain” in a slick and heavily funded advertising campaign, with the main objective of getting new readers and encouraging them to put some of their money in overseas “bolt-holes” (arguably to encourage tax avoidance as well as to guard against loss of investors’ money due to the “inevitable economic and social chaos” they predict in the UK). I wrote a critique of that video/letter on this blog in October 2013 at Is MoneyWeek’s “End of Britain” just fearmongering? What about US debt default? Is socialist revolution on the cards? Their main argument is that government debt is increasing rapidly, despite the “austerity” agenda, even when the interest rates they pay for government bonds (gilts) are around 2%, and that Britain would be “broke” and unable to pay them back if they reached a more normal level of about 5%. This blog entry is about a new web page (letter) by MoneyWeek called What Osborne didn’t tell Parliament (its web address looks temporary so do a web search for those words if that link doesn’t work). “The End of Britain” has been widely criticised because it was produced by MoneyWeek’s advertising department, and has biased graphs not adjusted for inflation or GDP, but this new letter is professional, written by financial experts and designed for serious investors. Its points are less controversial and difficult to argue against (with the propaganda against the welfare state omitted for example) although for those who believe in gradual reforms to capitalism to end up with some sort of “socialist” society, with such people often arguing that we are “the seventh richest country in the world” and that austerity is unnecessary, it is a massive wake-up call! It will be shown tomorrow (Sunday 26 January at 10am) – probably on BBC1 (possibly switched to BBC2). Nicky Campbell didn’t select me from the audience to make a point (or ask a question to the panel on the front row who dominated the show) but I’m writing this blog post to make some points I could have raised (and I will tweet links to this blog entry when the programme is aired). My newly founded party, Left Unity (which I admitted to being a member of when asked by a woman who rang me before inviting me onto the show, perhaps influencing me not being picked to speak), has a position of opposition to glorification of war (throughout 2014 which is the 100th anniversary, i.e. centenary, of the start of what was then called “The Great War” and “The war to end all wars”, and is now known as “The First World War” or “World War I”). 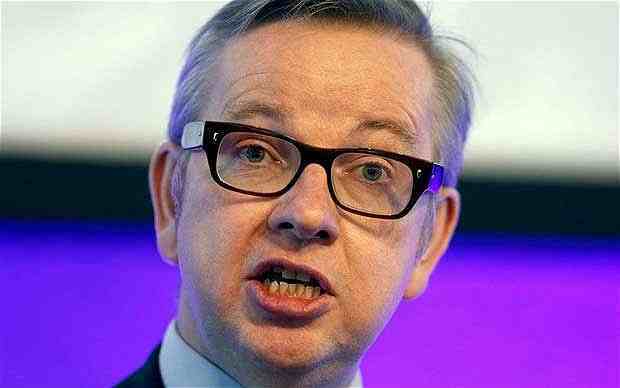 Doesn’t Gove look a nasty piece of work? The extremely annoying and incompetent Tory toff and ConDem Education Secretary Michael Gove has argued against teachers in school showing “Oh! 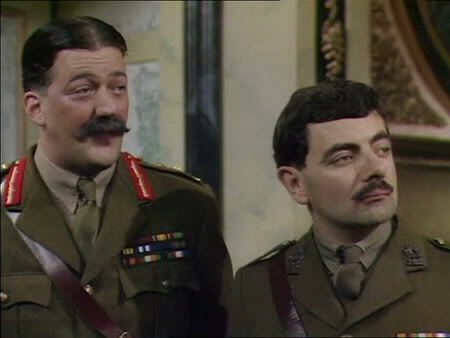 What a Lovely War”, “The Monocled Mutineer” and “Blackadder Goes Forth” because they put across left-wing viewpoints, in an article in the Daily Mail. That “newspaper” (very right-wing rag) incidentally supported the fascist Blackshirts in Britain and the Nazis in Germany before the World War II – see my blog post Ed & Ralph Miliband v Daily Mail (who said “Hurrah for Blackshirts”) – David Cameron’s father Ian was a tax dodger!